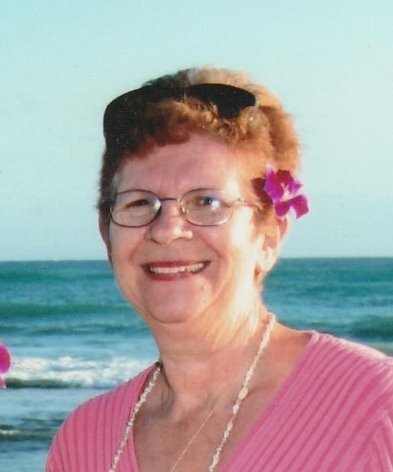 Susan K. Elliott, 73, of Elkhart, died on Saturday, April 13, 2019 at her home at 10:48pm after her two year battle with cancer under the care of John Gilbert and the Center for Hospice Care. She was born September 24, 1945, in Elkhart to Jeanette M. Hapner. She married Michael Elliott on June 23, 1970 in Clintwood, Virginia. They made their home in Logansport, Indiana in 1981. He preceded her in death, as did her longtime companion, Frankie Higgins, a great-grandchild, Benjamin Leon Meeks, her mother, and adoptive father, Robert E. Malcolm of Elkhart. Companion and care giver John Gilbert survives along with one daughter, Michelle (Barry) Meeks of Peru, Indiana; two sons Drew Elliott of Galveston, Indiana and Dustin Elliott of Logansport, Indiana; 10 grandchildren (Berlin, Owen, Andrew, Lee, Barry, Samantha, Braxton, Kylie, Izaac, and Alexander; 12 great-grandchildren; two brothers, Thomas (Jim) Malcolm of Walkerton, Indiana and Jim (Nita) Malcolm of Claypool, Indiana; and sister Dianna (Tom) Florea of Cassopolis, Michigan. Susan graduated from Concord High School in 1963, attended Bethel College, and was employed as a machine setup technician for Switches in Goshen and then Logansport until her retirement in 2006. She enjoyed stock car racing, attending concerts, traveling, watching birds and butterflies in her yard, and keeping in touch with her family and friends. Susan’s personality was defined by the qualities of great generosity, and a strong desire to help others. She devoted many years to caring for her parents and partners during their extended illnesses. Her children, grand and great-grandchildren were her pride and joy. As per Susan's wishes, cremation has taken place. A private service, for immediate family will be held, on Thursday, April 18th, 2019 at noon.